The Palermo 4 Drawer Dressing Table is an elegant addition to any bedroom. Fit for a high-class boudoir, the Palermo 4 Drawer Dressing Table has a classical design with a modern touch. There are 4 drawers in total, 2 on each side of the dressing table. The frame of the Palermo 4 Drawer Dressing Table is finished in the stunning mirrored finish, with classical bevelled edges and mock crystal handles that elevate the chest. 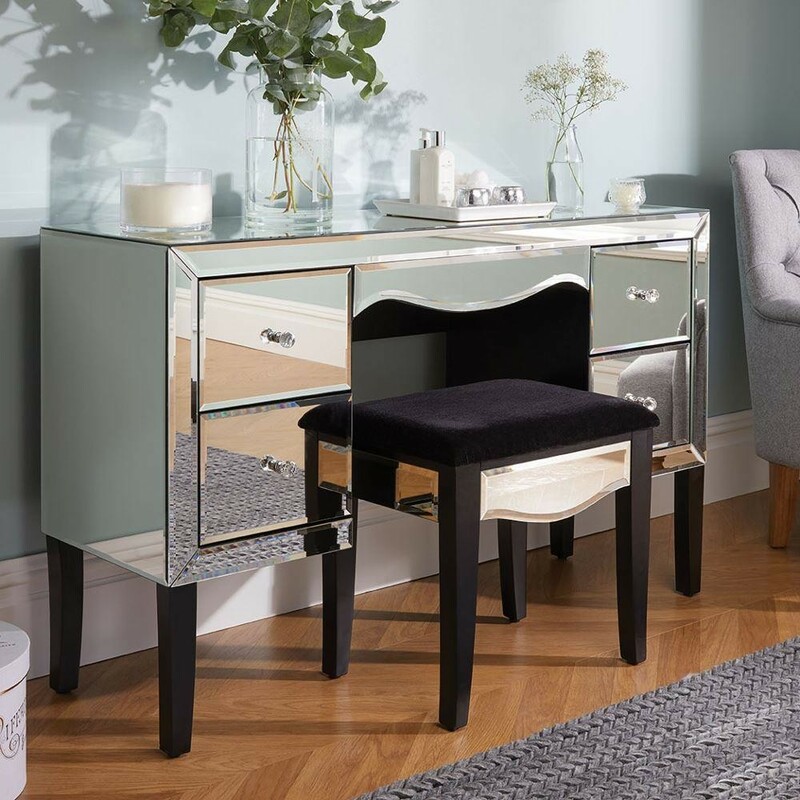 The Palermo Mirrored Dressing Table Stool is an excellent addition, it is available to purchase separately. Prepare for the day in style with the Palermo 4 Drawer Dressing Table. There's a generous amount of storage space thanks to the surface and the 4 drawers. Use the drawers to hide away your make-up, creams, ointments and other beauty essentials that you don't want to see cluttering up the bedroom. The surface of the Palermo 4 Drawer Dressing Table is perfect for displaying your favourite trinkets and perfumes; or any other belongings you'd like to be a feature in your bedroom. The Palermo 4 Drawer Dressing Table is constructed out of strong and reliable MDF. The framework is finished off with the absolutely beautiful mirror finish with bevelled edges for a top-quality feel. The Palermo 4 Drawer Dressing Table is practical as well as beautiful, providing the perfect focal point and the ideal space to start and finish each day! Transform your bedroom into an elegant space with the Palermo 4 Drawer Dressing Table. 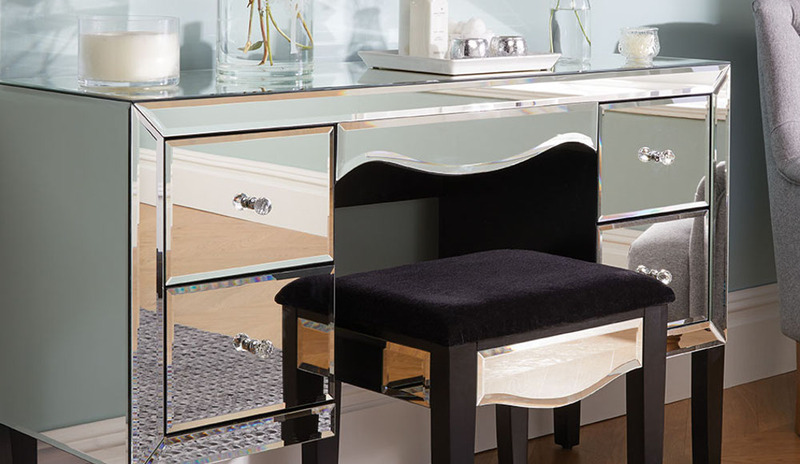 The Palermo 4 Drawer Dressing Table is part of the stunning Palermo Mirrored Bedroom Furniture Collection. Create an elegant bedroom by mixing and matching your favourite pieces from the collection. The Palermo 4 Drawer Dressing Table is perfect for a teenager in single, double or master suites - but you can enjoy it just as much if you're an adult too! The stylish dressing table stool is sold separately.